TV fanatics rejoice, the ‘bird’ has returned after a long migratory hiatus. The bird in question, that after a quick Google search has revealed itself to be the Varied Thrush, is one of the most iconic opening scenes that succeeded the all too well known green glowing ‘Twin Peaks’ font. Will we be seeing a recast of Log Lady and playing “Let’s take a shot every time coffee is mentioned”? The horror-noir cult classic known for its Murakami-style study of the conscious and multi-cross thriller-fantasy- comedy hybrid genre is making its big comeback in two weeks time. Not only was the show ranked as one of the greatest dramas on television but it inspired a large pop culture phenomenon, an alt culture and of course its own style tribe. The Twin Peaks style can be summarized in layman’s terms as a melting pot of all the greatest fashion hits, from cowboy classics, femme-fatale fab, schoolgirl skirts, to camp cardigans.... much like the current fashion scene. By mirroring the character’s multidimensional traits that at times reflected the expectant stereotypes, temptress Audrey in her iconic red dress, bad boy Bobby Briggs in his motorcycle jacket, and submissive Shelly in a faux-conservative sheer lace-up top; the Twin Peaks style much like its cinematography was a manifestation of duality. Sweet yet ominous, clean-cut yet weirdly skewed, the styling of the show embraced the deviations in 90s style. 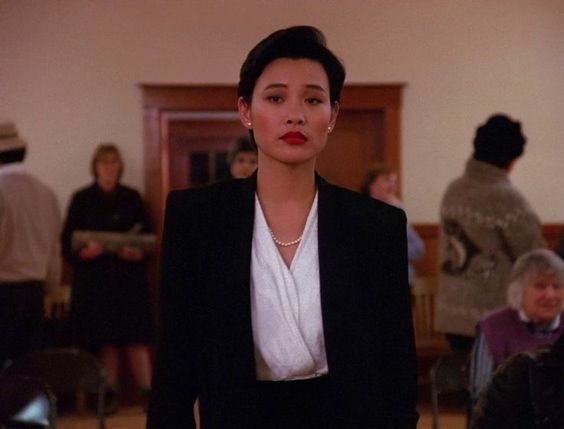 We can’t wait for the return of David Lynch’s northwestern town inhabitants and their wardrobes, will the return of Twin Peaks mark another style tribe?